← First share of 2014: salad time! 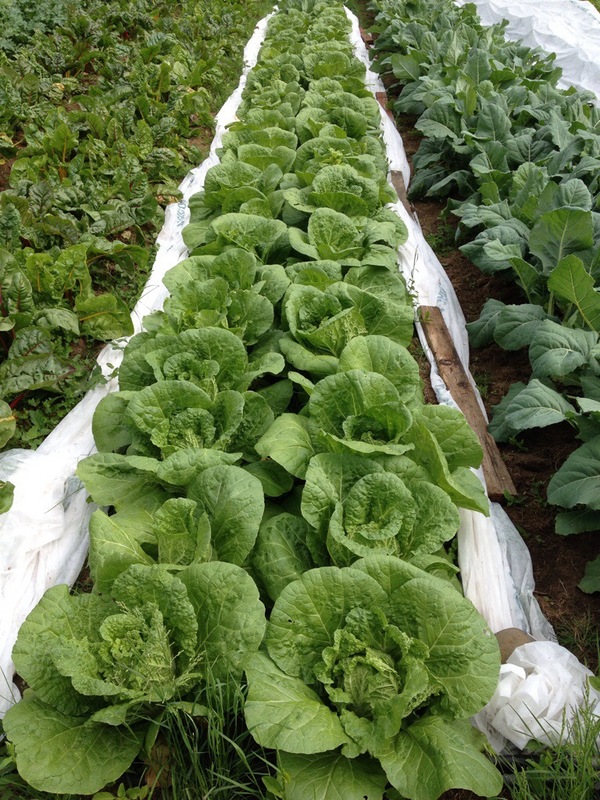 Napa cabbages before the first harvest. That’s swiss chard on the left, which was in last week’s share, and kohlrabi on the right, which you’ll probably receive next week. A few notes on eating these items: Napa aka Chinese cabbage is great for an asian slaw with a peanut-y dressing. Fennel bulb is great sliced very thin into salad or as a salad on its own with citrus and/or a citrus dressing and a few of its own fronds chopped fine for garnish (they can also garnish fish very nicely). You can also grill fennel coated with oil until it gets nice and soft in the middle. Hakurei turnips are great raw in salad like radishes. They make a nice snack on their own too like a raw carrot. Their greens are also edible – they don’t take long to cook down. Then there’s broccoli raab, little tiny broccoli-esque florets with their stalks and leaves included. I like to put it in a glass baking dish, coat with olive oil, salt, and pepper, and bake at 400 degrees or so until the leaves just begin to char or until the thicker stems are just cooked through. Usually this is 10-15 minutes. Then perhaps add a little lemon juice when they come out. And to finish off today’s post, another few farm pics… Coming soon, profiles of the people who help make the farm happen! next week we should have us some peas from these climbing beauties! 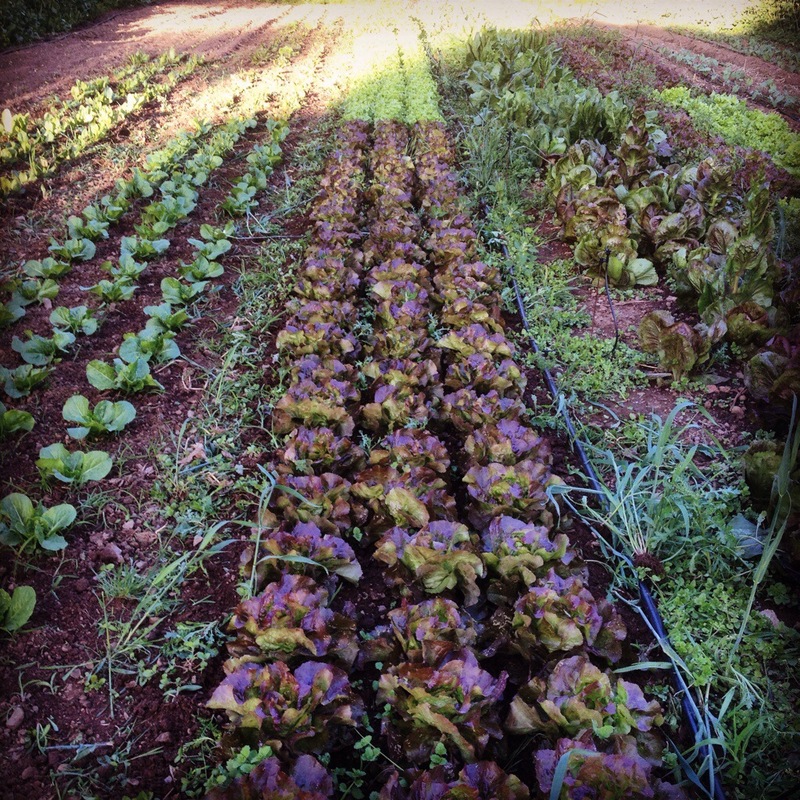 your future lettuces growing in the field… on the far far right you can barely see the big mature lettuce heads you’ve been getting in the shares.